Cembre AA range of aluminium cable lugs are suitable for use up to 33kV. 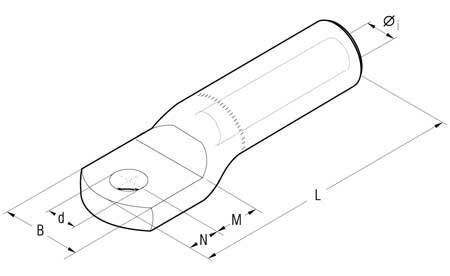 Cembre aluminium cable lugs are suitable for circular rounded and solid sector shaped conductors - note rounding dies are required for sector cables. Cembre AA aluminium lugs are made from aluminium of a purity equal to or greater than 99.5% and are ideal for crimping low stranded compacted aluminium conductors. Aluminium cable lug barrels are capped and filled with grease to avoid oxidation of the aluminium. 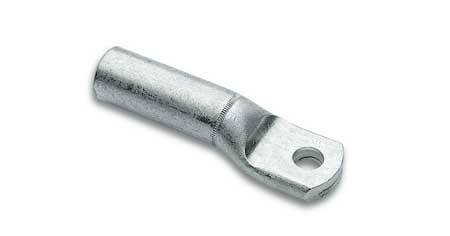 NOTE - Copper terminal lugs cannot be used to terminate an aluminium conductor. Aluminium conductors will thermally expand greater than copper conductors for a given temperature, therefore, under load, the copper will act to constrict the aluminium, causing permanent extrusion of the aluminium from the joint which will ultimately lead to a loose connection and potential failure of the joint.